Since 2008, Adrian Blumfield has served as Chairman of Metropolitan Partners Group. 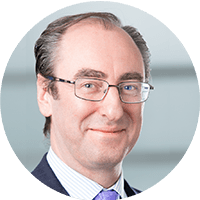 Adrian previously worked at Man Group PLC as Head of Strategic Planning for the company’s CEO based in London, and as Head of Business Development for Man Investments’ North American operations. He worked closely with senior management across the Group exploring and developing strategic options at both the business unit and corporate level. Before joining Man, he worked with strategic consultants Mars & Co, serving senior management at a number of multi-national firms across a range of industries in both Europe and North America. At Metropolitan, Adrian holds multiple leadership roles, contributing to business development, investment due diligence, Firm management and portfolio oversight. Adrian earned an M.B.A. from London Business School and an M.A. in Natural Sciences (Physics) from Downing College, Cambridge, England.